This tour will visit Ibaraki Prefecture, where the G20 Ministerial Meeting on Trade and the Digital Economy will be held in June 2019, and cover how the prefecture functions as a center for trade and energy, as well as revolutionary manufacturing and agriculture. In the Greater Tokyo Area (GTA) which is the main force behind the Japanese economy, there has been a growing movement to fix the tendency of hyper-concentration in Tokyo and its neighboring prefectures while also improving their functionality, and strengthening cooperation within the GTA. By lessening the various downsides brought about by hyper-concentration, such as the transportation system overload during the Tokyo Olympics and Paralympics and the risk of an earthquake centered under Tokyo affecting multiple critical functions, the goal is to increase the international competitiveness of the GTA as a whole. Ibaraki Prefecture has begun to play a new role as a gateway joining the GTA to the rest of the world. 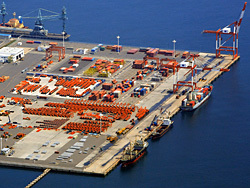 On the Pacific coast, the Port of Ibaraki is a supplementary shipping center that helps reduce the overcrowding of maritime cargo facilities in the Tokyo Bay area, and is also a center for the supply of energy to support increasing energy demands, supporting social and economic activities of the GTA. As the birthplace of the global business group Hitachi, many Hitachi companies and SMEs dealing with the Hitachi Group are located in Ibaraki Prefecture. Hitachi Construction Machinery Co., Ltd. is developing construction equipment with ICT capabilities to provide a solution to the growing labor shortage impacting Japanese construction sites. While the various companies of the Hitachi Group continue to move production overseas, the SMEs that have supported the Hitachi Group have been using their technical prowess to develop unique products and expand their sales channels, including some who have created products that amazed the world. Ibaraki Prefecture also has the second-highest amount of agriculture in Japan after Hokkaido. The dehydrated potatoes that are an Ibaraki specialty have been gaining attention as an excellent health food, and they have begun to be sold overseas as well. The Port of Ibaraki, located on the Pacific coast in the north of Ibaraki Prefecture, was formed by consolidating the three ports of Hitachi, Hitachinaka, and Oarai, and has been playing an important role as a new gateway for shipping in the GTA. Its greatest strength is that as it is located right on the Pacific Ocean, ships can enter the port directly, making it possible to significantly decrease shipping times. Famous Japanese construction equipment manufacturers Komatsu and Hitachi have built factories in the district beside the Hitachinaka port district, making it into a center for the export of large construction equipment. It is also directly connected by highway to the North Kanto region where automobile manufacturers are gathered, and the Subaru factory in Gunma Prefecture has begun using Hitachinaka port as well to export finished vehicles to North America, where sales are doing well. With the flow of people and goods in the Tokyo area expected to accelerate moving towards the 2020 Tokyo Olympic and Paralympic Games, the Port of Ibaraki has been supporting increased efficiency for shipping goods in the GTA. The Hitachi port district not only functions as a center for automobile shipping, it also acts as an energy supply center due to the Tokyo Gas Hitachi LNG Terminal located there. The tour will visit the Hitachinaka port district, which has a cutting-edge international container terminal, and hear an explanation of the Port of Ibaraki. This will be followed by seeing the stockyard. Komatsu has the second-largest market share in the world for construction and mining equipment such as hydraulic excavators and bulldozers. They are a global company, with overseas sales accounting for over 80% of their construction equipment and vehicle business sales. Their Ibaraki plant is one of the nine “mother factories” they have located throughout the world. 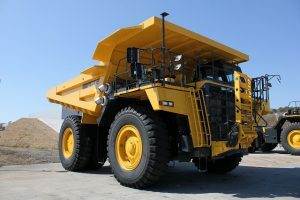 It produces large equipment with tires, such as dump trucks and wheel loaders, used in mining, and over 90% of them are exported around the world to North America, Europe, and Asia. Located next to the Hitachinaka port district, the equipment can be assembled and tested at the Ibaraki plant, before driving it to be loaded onto a ship using a road for only that purpose, so there is no need to disassemble the equipment for shipping. By shortening the lead time, not only can products be delivered to customers faster, the significant reduction in shipping distance also means a reduced carbon footprint. After hearing an explanation of how the Ibaraki plant supports Komatsu’s global business, the tour will see an assembly plant for large mining equipment (no photos or videos allowed in the assembly plant). There will also an opportunity to film large dump trucks and wheel loaders being driven to the Port of Ibaraki’s Hitachinaka port district for shipping. Tokyo Gas has four LNG terminals which manufacture city gas, and the Hitachi LNG Terminal located in the Hitachi port district is a cutting-edge facility which began operation three years ago. 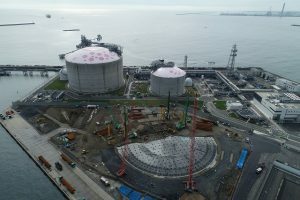 It is the first Tokyo Gas LNG terminal to be built outside of Tokyo Bay, and by working in conjunction with the existing three terminals within Tokyo Bay, the stability of the supply infrastructure as a whole is increased. Important energy supply facilities in the Kanto region, such as thermal power plants and LNG terminals, are located along Tokyo Bay, and there are concerns that a major earthquake located under Tokyo or other disaster could severely impact the supply of energy. The Japanese government has identified increasing the resilience of Japan’s energy base, through redundancy and spreading out of energy supply facilities and infrastructure, as an urgent issue for the country. After hearing an explanation of the Hitachi LNG Terminal, the group will tour the facility which includes a large pier for the ships bringing in LNG, one of the largest LNG storage tanks in the world (Capacity: 230,000 m³ ; Height: 60 m; Diameter: 90 m), installations with tsunami measures in place, and a second LNG tank under construction to meet the increased demand for natural gas. As the labor shortage grows more severe, there has been a growing trend of incorporating ICT and IoT onsite in civil engineering and the construction industry. With ICT construction becoming widespread, as seen in the i-Construction promoted by the Ministry of Land, Infrastructure, Transport and Tourism since April 2016, in September 2016 Prime Minister Abe declared at the Council on Investments for the Future the goal of increasing the productivity of construction sites by 20% by 2025. 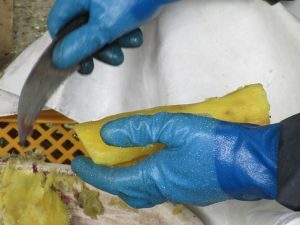 By implementing new methods using ICT, processes that relied on experience and intuition can be made transparent, and work processes which relied on people can be made more efficient, which is hoped to change the image of construction and draw in a variety of new workers to help solve the labor shortage. 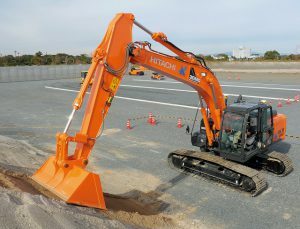 Hitachi Construction Machinery, part of the Hitachi Group and one of the three largest construction machinery manufacturers in the world along with Komatsu and Caterpillar (US), is using the ICT, control, and IOT technology of the Hitachi Group to develop construction machinery for ICT construction. One example is the ICT hydraulic excavator with 3D machine control. 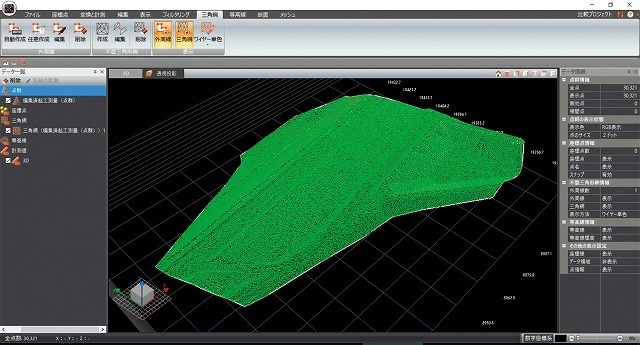 Since work can be partially automated and made more efficient after inputting 3D design data, consistent work can be assured without relying on the skills of the operator as it becomes more difficult to find experienced operators. 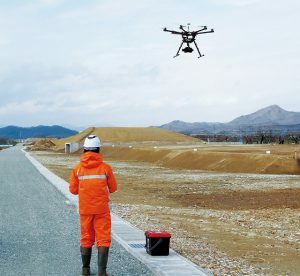 At the ICT Demo Site attached to the Hitachinaka factory, the team will see demonstrations of measurements being taken using drones and work being carried out by the ICT hydraulic excavator, learning about the state of ICT and cutting-edge technology in construction. Hitachi, Ibaraki is the birthplace of Hitachi, Ltd., and so is home to many of Hitachi’s partner companies. In the over 70 years since its founding in 1946, Ibasei has acted as a partner company for Hitachi and its group companies in manufacturing and repairing motors and generators. 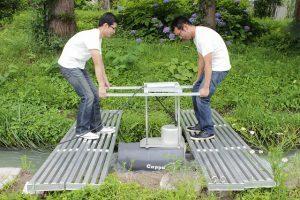 Ibasei considers itself to be a group of motor and generator specialists, and the first product the company developed itself is a portable hydroelectric generator called Cappa+++. This development project was led by the current company president, Dr. Norio Kikuchi, who took over the family business after receiving his doctorate in physics at Oxford University. The water turbine generator weighs 57 kilograms, light enough for two adults to be able to carry it, and by placing it in a stream or waterway the water flow will make the internal propellers begin spinning, so it can begin generating electricity without the need for any major construction to install it. With its uniquely-shaped diffuser, the speed of the water is increased when it passes over the propeller blades, making generation more efficient and helping overcome the issue of generators that rely on water flow producing only a limited amount of power. 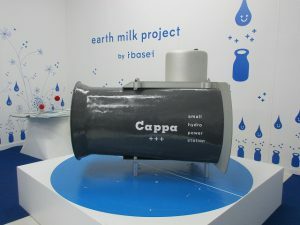 The tour will visit the demonstration site of Ibasei, located in Juo, Hitachi, where Ibasei’s president, Dr. Kikuchi, will give an explanation of the Cappa followed by a demonstration of it generating electricity. The Hitachi region of Ibaraki Prefecture is home to many Hitachi, Ltd. subcontractors, with the area growing thanks to that business. But with the high-valued yen and globalization since the 1990s, Hitachi has been moving its production overseas, and its relationship with subcontractors has changed. The former subcontractors have been implementing their own business plans in order to survive. Considering this situation, local Hitachi subcontractors formed GLIT (Guild for Leading Innovative Technology) as a joint subcontracting group. The members consist of 10 SMEs with advanced skills in a niche area, such as design, metal cutting, or die-casting. These businesses with different specialties jointly take on contracts, with the member company with the appropriate skills handling each step of the process. This enables them to take on large projects that would be difficult for a single SME to handle, and they are aiming to enter into growth industries such as medicine, aeronautics, and renewable energy. Since forming GLIT in 2015, they have successfully delivered jobs for surgical tools for medical institutions and experimental devices for research institutes. 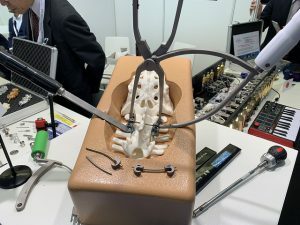 Since 2017, they have also been actively seeking to expand their sales channels overseas, presenting at a German medical equipment expo, and are currently in talks with a major US medical equipment maker. The tour will hear about the efforts of GLIT as they adapt to the changing times and use the technology and networks they have developed to expand worldwide. There will also be an opportunity to see the surgical tools they are currently developed be manufactured. 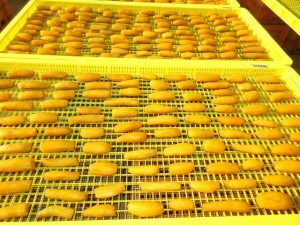 Hoshi-imo is a local specialty of Ibaraki Prefecture, made by steaming sweet potatoes, removing their skins, and drying them. They contain plenty of dietary fiber and nutrients such as vitamins and potassium, and are growing in popularity as a health food. Ibaraki Prefecture is the largest producer of sweet potatoes in Japan, with over 90% of the national market share for hoshi-imo. During the winter, when production peaks, you can see farms shining like gold as the potatoes dry in the sun. 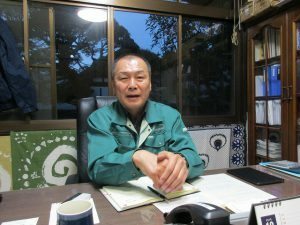 Mr. Terunuma will speak about hoshi-imo as part of Ibaraki’s food culture, and about efforts to spread hoshi-imo around the world as a health food. 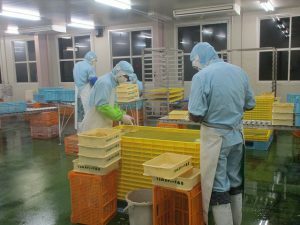 The tour will also visit a hoshi-imo production plant during the peak production season, and see the skins of steamed sweet potatoes being expertly removed by hand, as well as seeing the storage facility. *The schedule below is still in progress and subject to change without notice. *If the number of applicants exceeds 10, an upper limit may be set on the number of participants from each country/region. (1) This tour is organized by the Promotion Council for the G20 Ibaraki Tsukuba Ministers Meeting on Trade and Digital Economy, and planned and operated by the FPCJ. (2) The schedule is subject to change without notice. (3) This tour will require participants to bear part of the cost, but is not a profit-making venture. (4) Neither the Promotion Council for the G20 Ibaraki Tsukuba Ministers Meeting on Trade and Digital Economy nor FPCJ will be liable for any inconvenience, trouble or accidents that might occur during the tour. (5) There may be some restrictions on photographing and filming at the tour sites. Please follow the instructions of the staff in charge. (6) This press tour is intended to provide opportunities for news coverage. We request that all participants send a copy of the content of their coverage (article, video, or audio in the case of radio) to the Promotion Council for the G20 Ibaraki Tsukuba Ministers Meeting on Trade and Digital Economy through the FPCJ after their reports are published or aired. When your report is in a language other than English or Japanese, we also ask you provide a summary in English or Japanese. With receiving your application, we assume that you agree to these conditions.